For many Jewish children, the most exciting part of the Passover seder is finding the afikomen. But where, exactly, does this tradition come from? During a Passover seder, it’s customary to put three matzahs on the table. Then, early in the seder, we take the middle matzah, break it into two parts — and the larger portion becomes the afikomen. The word afikomen (pronounced Ah-Fee-Koh-Man) comes from Greek. Traditionally, this piece of matzah is eaten as a “dessert,” after the meal. Why? Well, according to the Talmud, the reason that we end the meal with a bite of matzah is so its flavor is what lingers in your mouth after the meal. Some say that it is meant to stand it for the Pascal lamb, which in ancient times, every family used to sacrifice in honor of Passover (in fact, the Samaritans in Israel still maintain this ritual to this day). 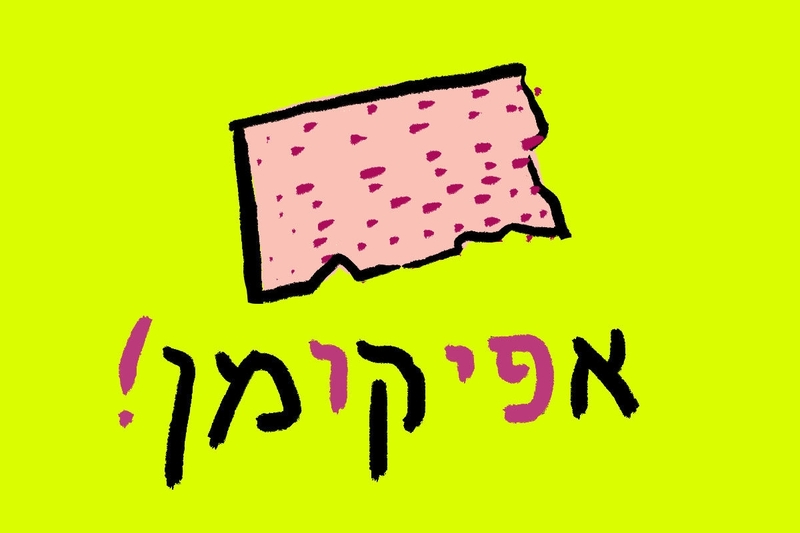 Over the years, a tradition started, mostly among Ashkenazi Jews, to hide the piece of matzah somewhere in the home, for the kids to find. Alternatively, the kids may “steal” the afikomen, and hide it from the adults. So basically, we hide the afikomen in order to keep our kids engaged, entertained, and, above all, awake! And, judging by the excitement level in my family, it really works! If you’re looking for other ways to keep your kids occupied this Passover, we have some tips to make your seder special. And while you’re at it, why not use our brand new Kveller Haggadah, specially designed for curious kids and their families!